One might think that the idea for a Murphy bed (also known as a wall bed) originated with the man it’s named after, William Murphy. In fact, while it was Murphy’s folding bed design that became popular in the early 1900s, foldaway wall beds had actually been around in various forms for a few decades before that. Since then, they’ve come quite a long way in terms of style, safety, and functionality. In smaller living spaces, space-saving wall beds are particularly useful. Here are eight great benefits that custom wall beds can bring to your home. In micro-condos and tiny apartments, wall beds are essential because of how little space they take up. Even in larger living areas, a space-saving wall bed unit can be quite convenient to have. By utilizing the unused vertical space on one of your walls, a wall bed takes up very little room and won’t be in the way when you’re not using it. Simply pull the bed down out of the wall when you or your houseguests are ready to retire for the night. In the morning, the bed easily folds up to free up a significant portion of floor space. Generic terms are commonly used to refer to certain types of products. For example, words like “kleenex”, “zipper”, “thermos”, and “aspirin” are used by most of us to describe similar products that may not actually bear these trademarked names. There’s a good reason that this happens. The Murphy bed is no different. While you can find various brands of wall beds available, this unique piece of integrated furniture is most commonly known as a “Murphy bed”. That’s because of the industry leader reputation that Murphy beds have had for around a century now. Organized Interiors only sells genuine, high quality Murphy beds. Along with a lifetime guarantee on the bed’s hardware and its durable design, a Murphy bed is also the most comfortable modern wall bed you’ll ever sleep in. You may be wondering how easy it is to open and close a wall bed. The innovative spring system our Murphy beds are designed with makes it very simple to open and close the bed. They’re also very safe to use. Rest assured that a space-saving wall bed comes with a high quality coil mattress that is every bit as comfortable as sleeping in a conventional bed. Your houseguests will certainly appreciate the comfortable sleep they’ll experience on it. Sleeping on an air mattress, rolling cot, or pull-out sofa bed just doesn’t compare. To test drive the comfort of a wall bed for yourself, visit Organized Interiors’ 10,000 square foot showroom. You can also see just how effortless a wall bed is to open and close. 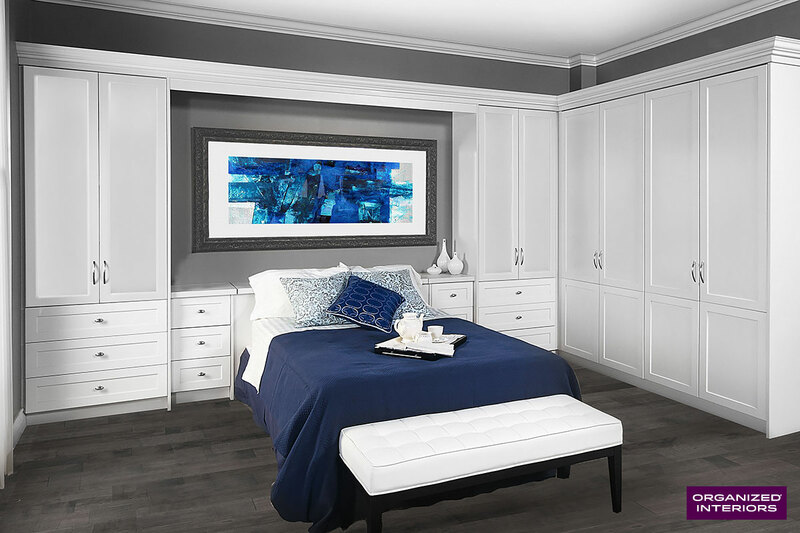 The high level of customization that a Murphy bed comes with means our designers will be able to create a unit that nicely complements your home’s decor, whether the bed is open or closed. A wall bed can be designed to fold up into a beautifully crafted cabinet unit that remains functional during the day while the bed isn’t needed. Almost any room in your home will see its versatility greatly improved by becoming a multi-purpose guest room with a space-saving wall bed. In particular, your home office can easily become a cozy bedroom for houseguests by adding a wall bed. Even when you decide to move, wall beds will keep providing value. When moving time comes, Organized Interiors can disassemble your wall bed and transport it to your new residence, where we’ll reassemble it. Or if you decided to leave the wall bed behind when you move, its value can be factored into the resale value of your house, condo, or apartment. Don’t wait any longer when it comes to maximizing the space in your home. Book your free in-home consultation today, where one of design experts can answer any questions you might have about wall beds and where one can work best in your home. When putting together a home sweet home, oftentimes it’s not the amount of space you have, but how you use your space that matters. That’s why the newest housing trend, micro-condos, is becoming more and more popular in Toronto and other Canadian cities. Micro-condos are units that are typically smaller than 400 square feet. Sounds tiny, right? Well, they’re increasingly becoming an attractive option for a wide array of homebuyers, especially in this time of soaring housing prices. Young professionals, students, first-time buyers, and even people in their 40s, 50s, and 60s looking to dramatically downsize their living arrangements are realizing the benefits of inhabiting these uniquely designed modern spaces. Micro-condos are often built downtown, which lets owners and renters easily get around the city by walking. They also force people to get organized. Why? Because living in a cluttered micro-condo simply doesn’t work. 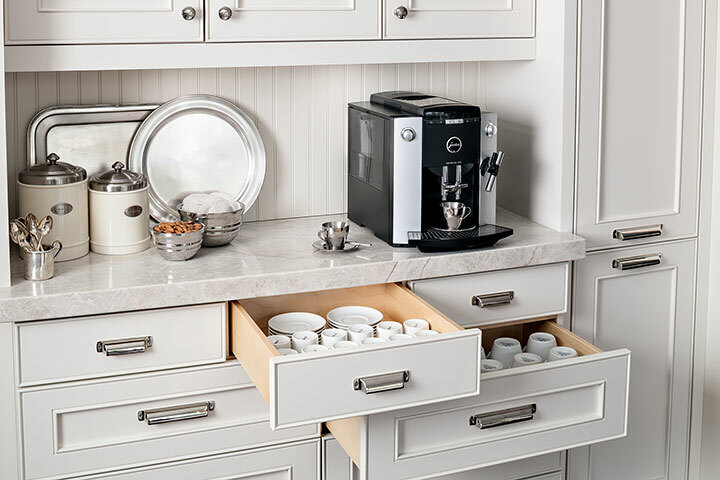 That’s where expertly designed organization solutions like custom cabinetry, wall beds, and closet organizers can help maximize the limited space you have available. Significantly downsizing your number of possessions is an essential when you decide to try micro-condo living. 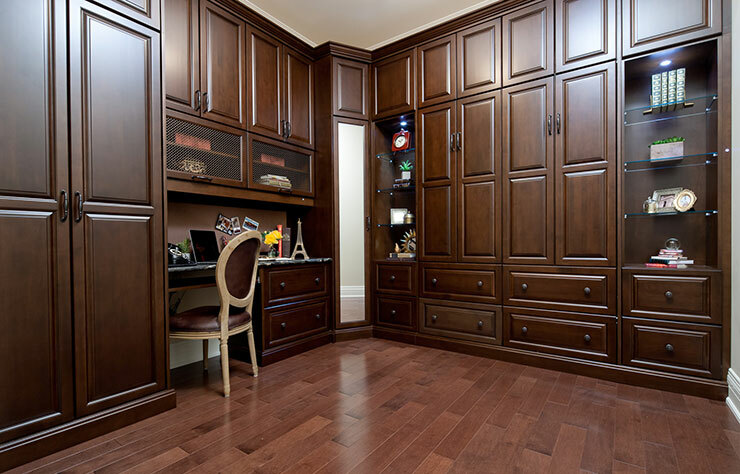 A great way to manage the belongings you do keep is by installing custom cabinetry. Custom cabinetry can be installed in your living room/sleeping area or kitchen. 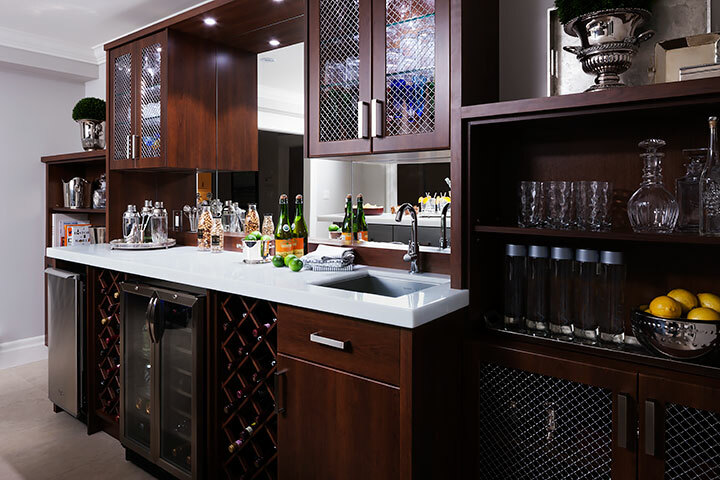 When installed by professionals, custom cabinetry will fit your cozy space perfectly, allow you to stay organized, and add beauty to your mini-condo’s appearance. Closet space in a mini-condo is at a premium, so why not make the most of yours? 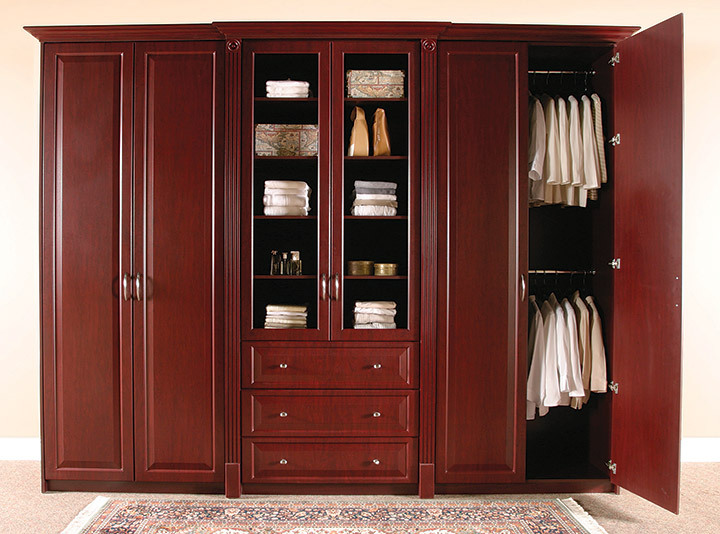 A closet organizer is the best option for maximizing your closet’s organizational potential. By designing it to your space’s exact specifications, our experts can provide you with a closet organization solution that will help keep your micro-condo clutter-free. Wall beds are tailor-made for small condos because they fold up into your wall when not in use, usually allowing for the use of other furniture. While micro-condos typically come with a wall bed installed, you might not be satisfied with the comfort level you’re getting out of it. Or perhaps you have guests who stay overnight regularly enough to justify adding another wall bed to your micro-condo, if space allows. Organized Interiors can help. 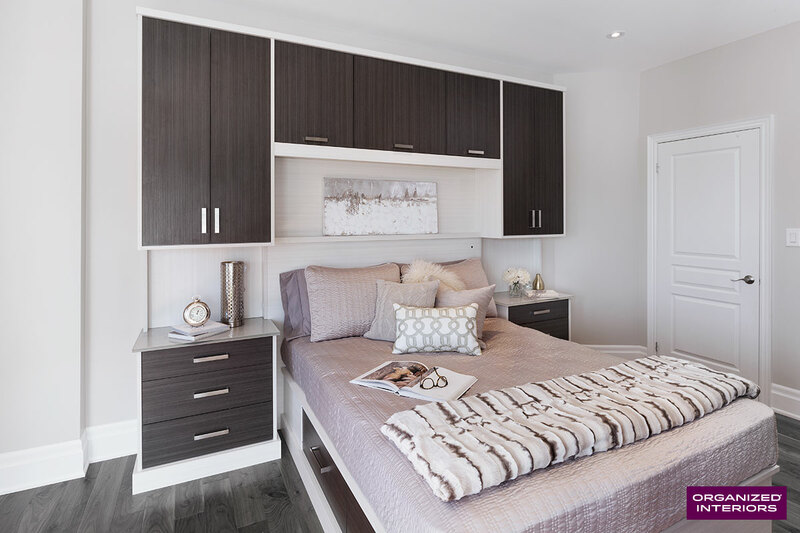 Micro-condos might be small, but they can still provide the same functionality as a larger living space and be just as organized with the right customized designs. If you’re a micro-condo dweller or planning a move to one, book a free in-home consultation to help you get the most of your small space.